Using a keyboard for typing practice is a great way to familiarize your students with the placement of letters and numbers on a keypad. It doesn’t matter if it’s a MAC or PC, the important keys are all the same. ~ Printer-friendly version (black and white). You can color the keys you want to focus on, color just the letters of their name, print it on colored paper, or let your kids color it however they choose! ~ A keyboard with just the home row colored. 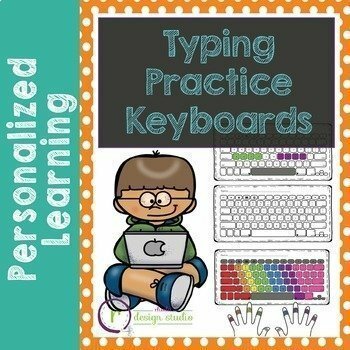 Great for beginning keyboarders who are just learning finger placement! ~ A full-color version for those students who are familiar with home row and are ready to practice the proper keystrokes. 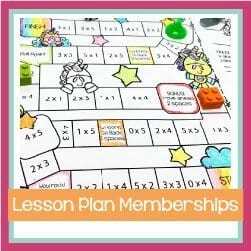 * Use in centers to practice word work or spelling words (also great at their own seats). They get to practice their spelling and typing at the same time! * Nameplates on their desk that they can also use to practice spelling words, typing stories, or just “playing” with the keys to familiarize themselves with the layout. * Students can use them at home to practice, at their seats when they finish early, for “typing the room” and so much more!